Heat getting you down? Summer XVs in the Cool, Cool Mountains may be just the Answer! As it has every summer since 1969, rugby is on in a big way in our region’s big hills. 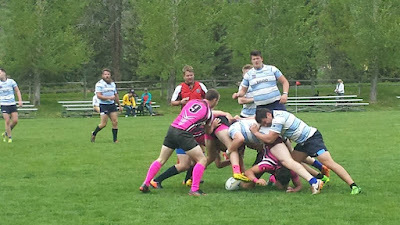 From Park City to Breckenridge and Steamboat Springs to Glenwood Springs, players have been hard at it, attending club practice sessions and implementing individual fitness regimens in preparation for the first whistle on the Mountain XVs schedule. In 2015's inaugural Mountain 15s action, Vail RFC topped Flamingos 58-24. And that first blast was trilled well and sweetly by field magistrate Greg Tarpey at the Vail RFC homegrounds, located across the street from the Gerald T. Ford Amphitheater in the world-renowned snow-riding town in Eagle County. Some may know the South African native from his various associations with Rocky Mountain clubs: in his initial engagement with rugby in the States, “Tarps”, slung the pill for Queen City Rams; then it was on to Denver Highlanders, where he earned the moniker, “Big Timber”; then Vail and Aspen RFCs, before he won the USA Rugby Division-1 Men’s National Championship with Glendale Raptors. For anyone looking to continue 15s code during the long hot summer ahead, any mountain club would welcome players with open arms and, quite often, realtime jobs and lodging prospects. 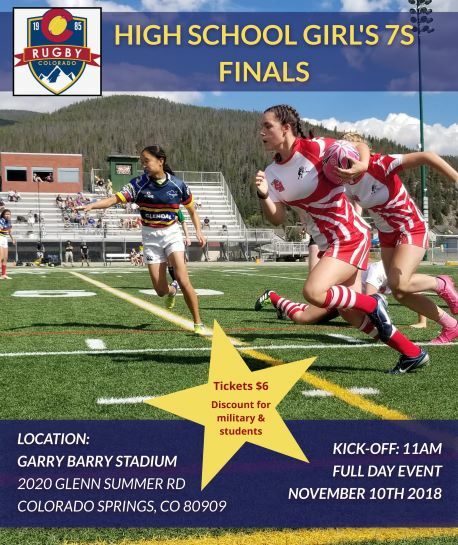 You may goto - http://www.rockymountainrugby.org/summer-mountain-league.html - for more info on Summer 15s in the gods country.